When you spend quality time together with your hamster, you don’t see them blink that much, if at all. Why is that? Is there something wrong with your hammy or do all hamsters not blink? 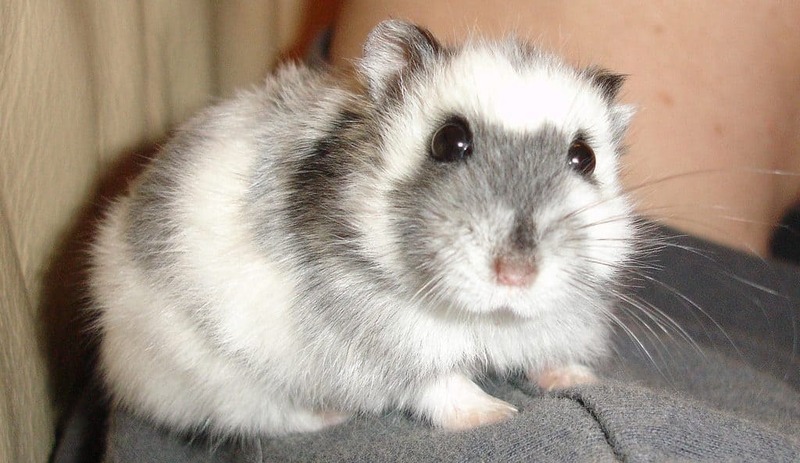 Hamsters do indeed blink, but they don’t do so with both their eyes at once. Instead, many will blink their right or left eye and then vice-versa. If you’re not paying attention, you can quickly miss it, giving you the impression your hammy doesn’t blink at all. You may now have more questions. Why do hamsters blink with one eye rather than both? How often do they blink? Read on, as we’ll elaborate on all things hamster blinking in this article. Why Do Hamsters Blink with One Eye? 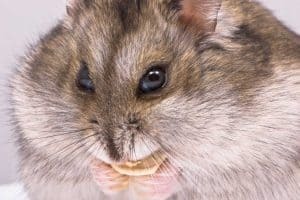 While there’s no concrete evidence as to why hamsters blink with one eye, many hamster owners believe it’s a defense mechanism. Although your pet hammy is a domesticated animal, they may still retain some of the traits and instincts of their wild ancestors. One of these may be their blinking habits. By closing both their eyes at once, even for a second or two, a hamster is making themselves vulnerable to predators. While most hamsters will create underground burrows for eating, hiding, and sleeping during the day, when they venture out at night, there’s no guarantee of safety. A wild hamster must always be on alert when it exits its burrow. By blinking with one eye and then another, the hamster can ensure they have at least one eye on their surroundings. Even though your domesticated hammy doesn’t live in such a high-pressure environment, they have likely retained their blinking behavior from their wild ancestors nonetheless. 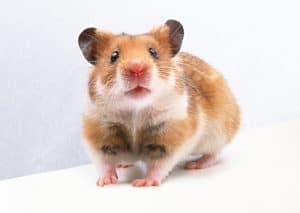 Hamster blinking can be, well, blink and you’ll miss it, and if your hamster is facing at an angle and you can only see one of their eyes, that can give you the impression that they’re not blinking at all since you didn’t see it happen. Trust us, they are definitely blinking. Can Hamsters Blink with Both Eyes at Once? No, hamsters will not blink with both their eyes at the same time. The only instance in which both their eyes will be closed is if they’re sleeping. If they happened to get something in both their eyes, such as water or sand, then they might possibly close both eyes. This isn’t a normal occurrence, though. If you see your hamster with both their eyes blinking or closed, you might want to closely monitor the situation. If the issue persists, take your hamster to the vet. How Often Do Hamsters Blink? Every minute, the average human will blink 15 times. With hamsters, the answer is not nearly as clear-cut. Blinking will occur on an as-needed basis, which can vary from hammy to hammy. According to one experienced hamster owner, hamsters can go a lot longer between blinks than us humans can. This is due to a layer of lubricant that covers their eyes. The lubricant provides them the moisture needed to prolong their blinking. Once again, this might be a defense mechanism. Not only can hamsters keep a single eye open when blinking after all, but they can also blink less frequently. That allows them to keep a dedicated watch on predators. 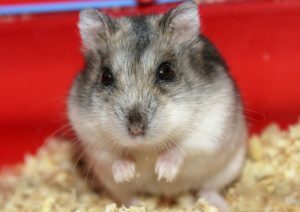 The same hamster owner on the forum above also mentions how the crepuscular, nocturnal habits of hamsters aides them in blinking less frequently. During the daytime, the bright sunlight can dry out the eyes, necessitating more blinking. Since hamsters are sleeping during that time anyway, their eyes stay moist. At night, with less strong sources of light, there’s less risk of moisture loss. That means fewer instances of dry eye for your hammy. It also means that during the night, hamsters can possibly go even longer between blinks. Do Hamsters Have Good Eyesight? Another reason hamsters blink so sporadically may have to do with the quality of their vision. They do not have good eyesight at all. For one, hamsters are colorblind. This is because their eye’s retinas lack color receptors that make all of life’s colors bright and vivid. This is by no means uncommon in animals. Creatures like deer, lions, stingrays, seals, whales, and owls all share the trait of colorblindness. Your hammy is in good company, then. Even cats and dogs can’t enjoy the full spectrum of colors. Cats are colorblind to red but can see green and blue. That’s not the same for dogs, who can’t see blue or yellow but can distinguish between green, orange, and red. Besides being colorblind, hamsters also have myopia, aka shortsightedness or nearsightedness. For clear vision, light is supposed to settle on your retina. When it settles right before the retina instead of on it, vision difficulties occur. With myopia, it’s possible to see what’s right in front of you. It’s only objects and people (or other animals, in a hamster’s case) that are far away that are hard to see. Okay, so not only can hamsters not distinguish colors that well, but they can’t really decipher anything or anyone that’s far away from them. In wild hamsters, that can be incredibly dangerous, as they will likely miss distant predators. By the time the predator comes near and the hamster can see it, it may be too late. By blinking less often, they at least have a better chance at survival. How Do You Know Hammy’s Eyes Are Healthy? There’s no need to take your hamster to a veterinarian if you don’t seem them blinking all that much. That said, there are some eye conditions your hammy could have that do require the attention of a pro. Let’s talk more about them now. The somewhat beady look of a hamster’s eyes is due to the eye sockets, which are relatively shallow. Combine that with their eye positioning and a condition called eye proctose becomes more likely to occur. The sooner your hamster receives medical attention, the better. The eye can potentially be reattached if it hasn’t died. This way, your hamster can retain some vision. If the eye is completely out of the hamster’s head and hanging on by a thread, then it’s probably beyond saving. 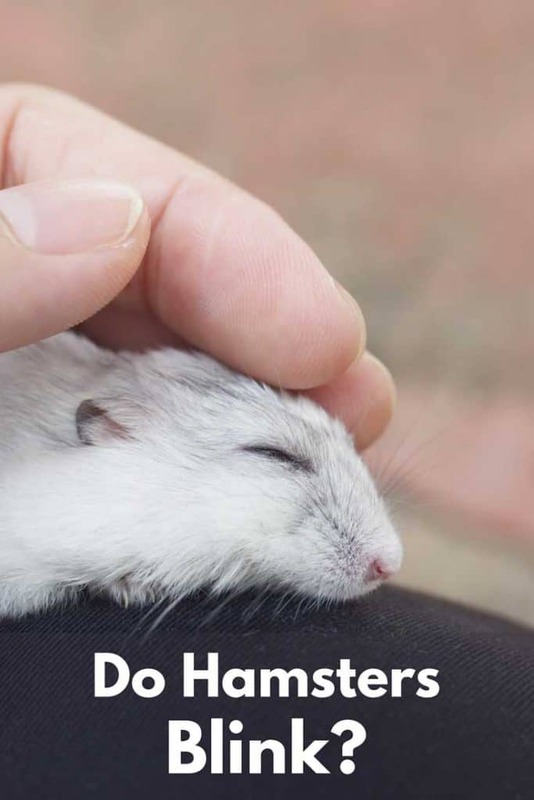 If it can be reattached, your hamster will not be able to see from the damaged eye. Eye proctose is not rare in hamsters, so it’s something to be aware of. Your hammy might also be dealing with swollen, sticky eyes. This may occur if they got something in their eye(s) like sand or dirt. Hamsters are also not impervious to pink eye, also known as conjunctivitis. This may cause eye stickiness as well. Other symptoms include eyelid redness, swelling, and pus discharge. It’s recommended that again you take your hamster to the vet if they have sticky, pink eyes. Whether there’s something in the eye or it’s conjunctivitis, your vet can hopefully preserve your hamster’s vision. Just like people can get cataracts, hamsters can, too. This doesn’t happen often, but it’s still something to have on your radar. Unfortunately, cataracts are incurable in hamsters. Still, a vet appointment can confirm the diagnosis. You and your vet can also create a cataracts management plan so hammy can have the best quality of life possible. Hamsters do blink, but since they do so with only one eye at a time, it can be easy to miss. Their blinking habits may be a trait of their wild ancestors. After all, since hamsters are colorblind and nearsighted, they have to keep their eyes open to prevent being eaten by hungry predators. Next time you hang out with your hammy, watch their eyes for a while! You just might get to see the one-eyed blink for yourself.